This was my first visit to this clinic scheduled for a yearly physical examination, but this provider didn't do that whichmost Primary Care Providers do in their assessment. No neuro examination, not sure if he listen to my heart, no head, ear, nose, throat examination. Totally disappointed. Waiting time was great, but time spent with the provider was less than 10 minutes. Most providers have at least 30 minutes for initial or a new patient. Hope reading this helps you decide if you want to see this provider. This was my first visit to this clinic scheduled for a yearly physical examination, but this provider didn't do that which most Primary Care Providers do in their assessment. No neuroexamination, not sure if he listen to my heart, no head, ear, nose, throat examination. Totally disappointed. Waiting time was great, but time spent with the provider was less than 10 minutes. Most providers have at least 30 minutes for initial or a new patient. Hope reading this helps you decide if you want to see this provider. The office was really busy today and I was suprised by how long it took to be seen. Typically it wakes5 minutes but I arrived early and ended up waiting an hour and 20 minutes. The office was really busy today and I was suprised by how long it took to be seen. Typically it wakes 5 minutes but I arrived early and ended up waitingan hour and 20 minutes. 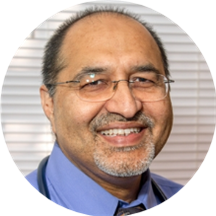 Dr. Jamal Zia is a family physician treating patients in Falls Church, Virginia. He holds certification from the Educational Commission of Foreign Medical Graduates and is eligible for certification by the American Board of Family Medicine Eligible. With over 23 years of experience in patient management in primary care settings in the United States, the Dominican Republic, Nigeria, Guatemala, and Pakistan, Dr. Zia has become fluent in English, Spanish, Hindi, Urdu, Punjabi, and Hausa. He currently practices at the Medico Family Clinic. For his medical degree, Dr. Zia attended Universidad Tecnologica de Santiago in Santo Domingo. He completed his internship at St. Elizabeth’s Medical Center and San Pablo Hospital, Bayamon. His residency in family medicine was completed at St. Elizabeth Medical Center. Patients visiting Dr. Zia can receive a full range of services, including ECG, EKG, pediatric sports physicals, prostate cancer screenings, cholesterol and lipids checkups, screening for disease, preventative medicine, Pap smear, and skin biopsy. Dr. Zia is a kind ,compassionate doctor. Doctor Zia was an amazing choice for my 1 year old son! His staff was also very attentive, sufficient and respectful. Would definitely recommend! He is just okay overall, but you definitely need to book an appointment online or through phone call with him ahead of time or else you will have to wait more than an hour, because his office seems like its alwaysa full house from walk-in patients. He did his job but I’m not sure if its right as when I explained the problem/sickness of my son to him, he checked my son’s mouth and ears then gave us a prescription of antibiotic (amoxicillin) 5ml each time and 2 times a day. My son is 14 months old. However, I have heard from other doctor that its not okay to give baby at 1 year old age more than 3 ml of antibiotic so I don’t know what to do now. the manager at this office unprofessional, she will hung up in your face if you will complain about something and No one will call you back to inform that your blood result is back so you can make an appointment tosee the doctor because you can't call them every day and ask. I had a blood test about more then a month ago I call to ask the manager told me that I have to make an appointment... when I told her that I did not received a phone call or mail to inform me about that my blood test result back ? after she was just blaming me... I asked to speak to the Dr. she hung up. Dr. Zia is a very caring doctor and he truly listens to the concerns of patients and is not adverse to patient input which not only shows a great degree of respect patients but also encourages them to be active participantsin their healthcare. This is something I found lacking with other doctors have seen as they forget that patients are not as dumb as they believe and most likely have researched their concerns prior to seeing them. So yes, Dr. Zia has the final answer obviously as you would expect any doctor to but he will also truly listen and honestly let you know if a treatment or particular medication is not in your best interest. I find his approach to be balanced between doctors who are too permissive with their patients wishes and those who are strictly authoritative and do not value patient interest. I have found in him a doctor that I can truly trust with my healthcare and who really values my concerns about my health. It helps that he speaks multiple languages and also has a flexible scheduling system which is patient centered and not just about him and his time. He is a wonderful person and doctor and I'm glad I made the switch from my previous doctor of 10 years and entrust him with my healthcare. Dr. Zia was great! He had excellent bedside manner as well. I will be recommending him and I will be making him my primary care physician after today's visit. I was a little uncomfortable with a male doctor being present while I had a PAP done. I would prefer two females. I had the best visit with Dr Zia. He was patience with me writing down the note to make sure I get all the information and complete with questions. Dr. Zia is knowledgeable and cares about his patients. He is very kind and attentive despite having a busy schedule. You want someone like Dr. Zia because he will take good care of you! Dr provides PT info on where to get meds for lowest price. During fall sponsor (Walgreens) provides free flu shots for his PTs at his office for 4 Saturdays. He also coordinates with GW Mammovan to get free screenings for breastcancer on premises. Both services are very beneficial for his PTs. He's a fantastic doctor! He's always very kind, friendly and really pays attention to his clients. I would recommend him to any friends or family for sure!! It was great that I didn't wait much and I got to manage my doctors appointment time very well during my work break. Dr. Zia is excellent and I highly recommend him. It was okay but I would let someone know if the medicine one is prescribing has a side effect like suicidal. Especially if it is for a 9 year old. I spent money on that perscription for nothing. Dr. Zia is a very caring doctor! I love everything the service and the doctor's are great! Specifically made the appointment to get shots, received the confirmation from the office, get to the office - and that's when they actually read the appointment details. It turns out the office does not administer any shots (but they can recommendplaces to go and provide referrals). Dr. Zia seems like a very nice man, but the lack of oversight on the front office operations was enough to switch doctors. Had we been notified that shots were not possible, we would have switched doctors - just not posted a negative review. It's a shame that the review process only focuses on the doctor and not the front office staff. Yes, they are nice - but they need to manage expectations of patients and pay closer attention to the details. Dr. Zia is a wonderful Doctor! Doctor Zia was great!!. He assessed my injuries and provided my next steps. Looking forward to the next appointment. He's a great doctor. Very personable and friendly. I would definitely recommend him to friends and family!! Great Doc! Still waiting to go get my results but I appreciate the time Dr. Zia took to listen to my concerns and run adequate exams. The waiting room was filled with walk in patients that I assume were illegal immigrants because there were representatives from a lawyers office harassing me to make an appointment with them for free health and immigration services. I waitedover an hour for my scheduled appointment. The doctor was good, very thourough but seemed frazzled. The office was old and unsafe with cords all over the place and not very clean.